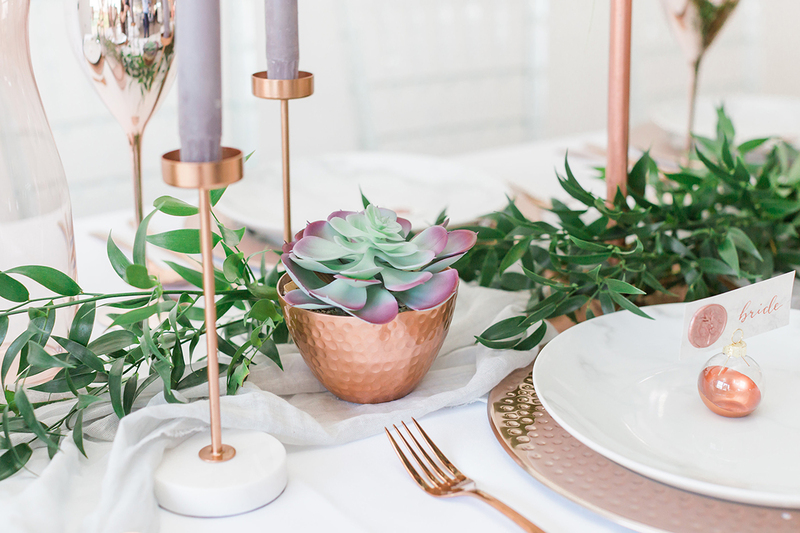 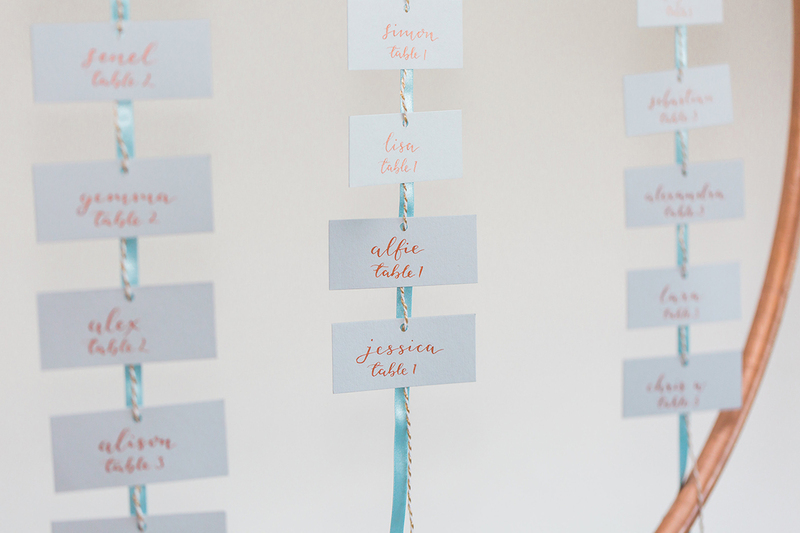 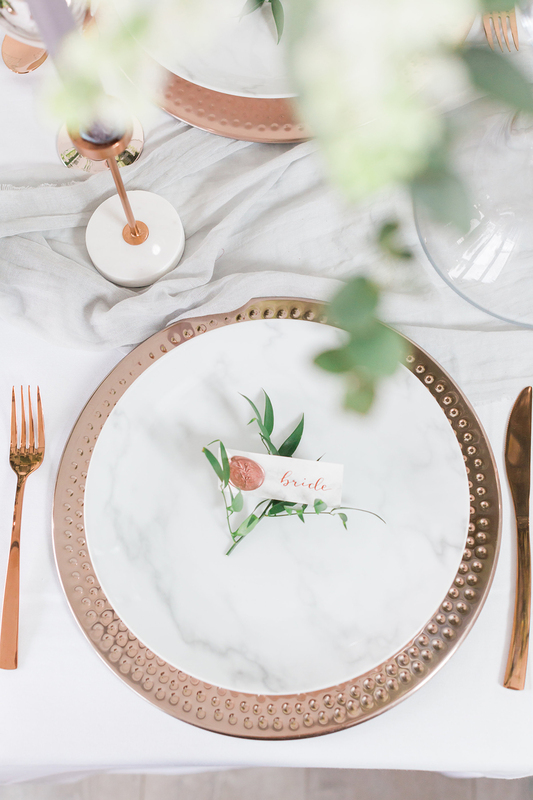 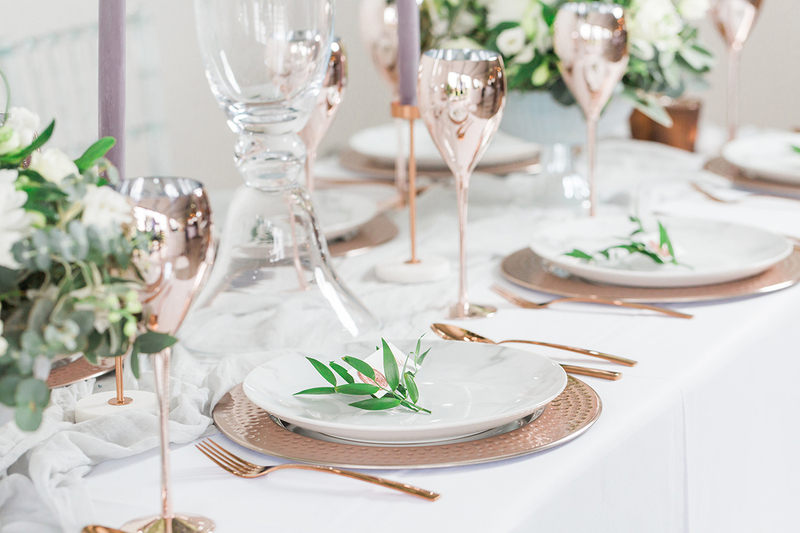 Creating a fusion of modern wedding decor with the traditional can be really tricky to do and so we’re pleased to have 3 different table setting ideas to inspire you today! 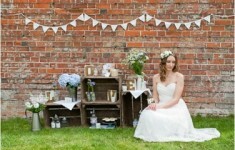 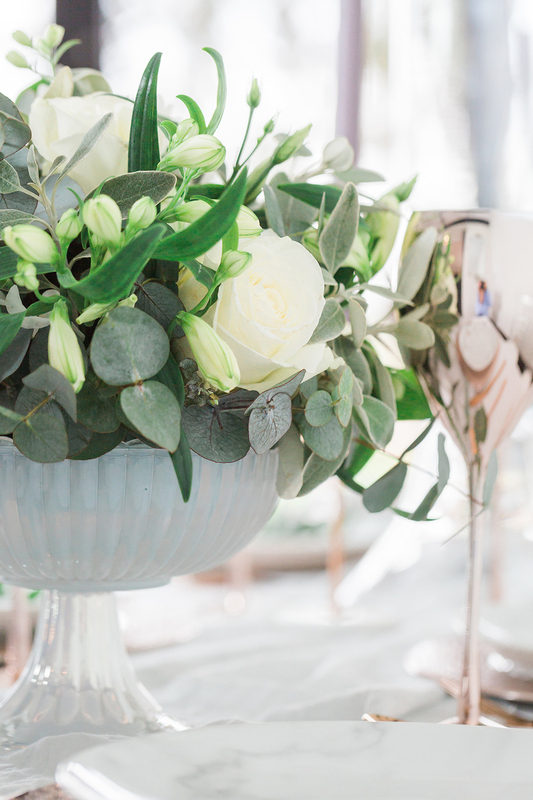 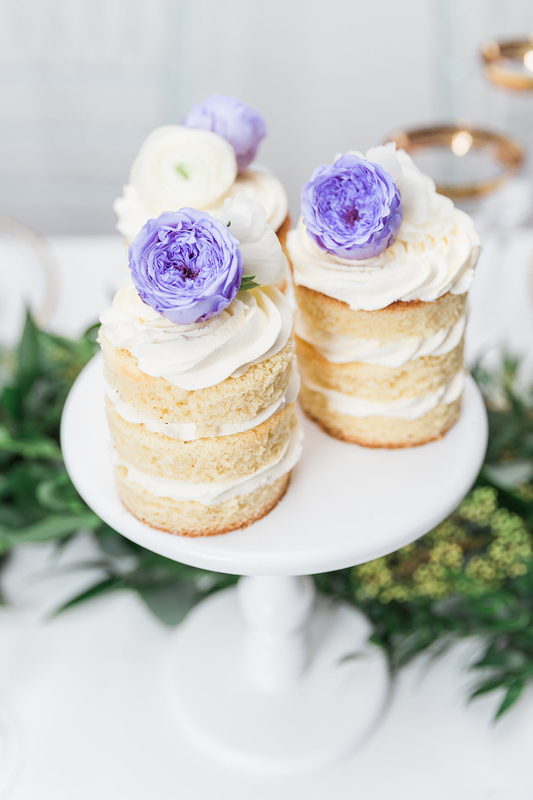 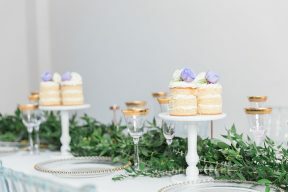 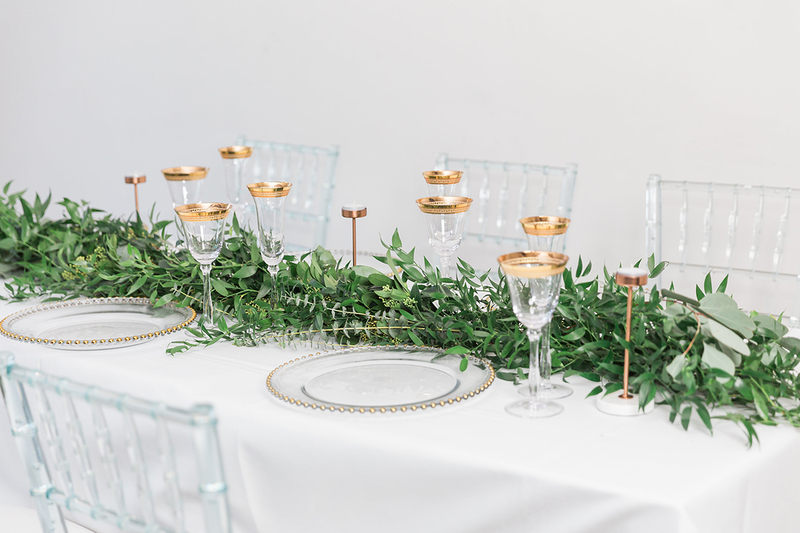 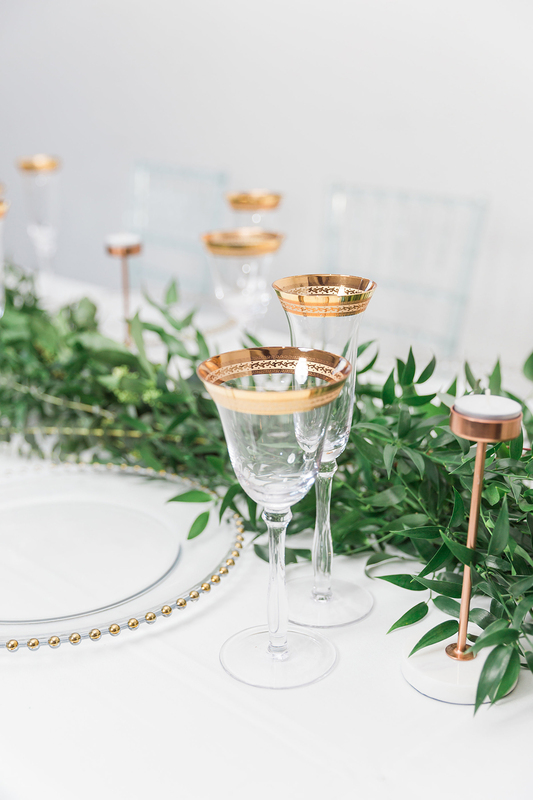 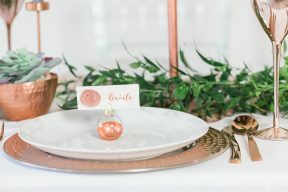 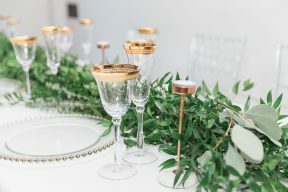 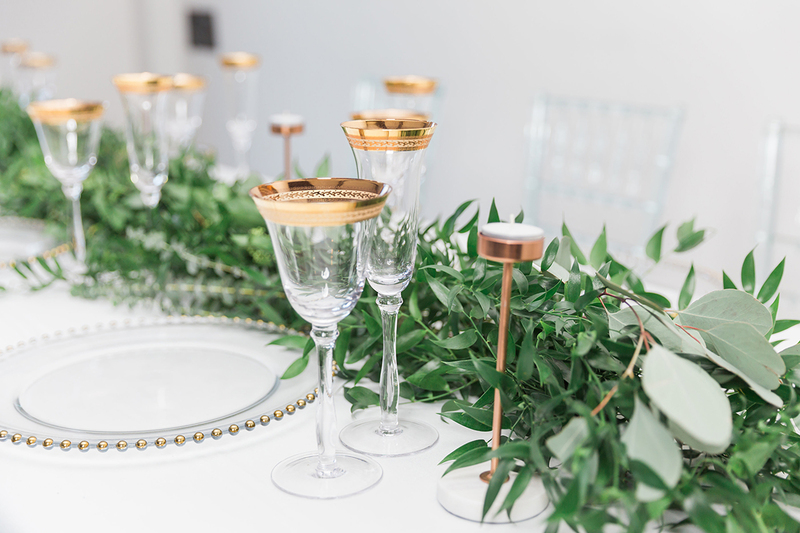 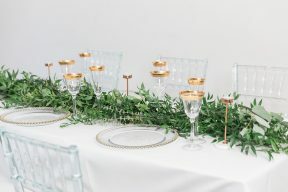 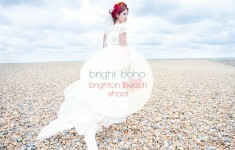 Styled by Bride and Belle Luxury Weddings and Honey Bee Bakes, with a focus on statement florals by Luke and Lottie Floral Design and interesting glass and tableware from The Event Hire Company, all captured by James and Kerrie Photography. 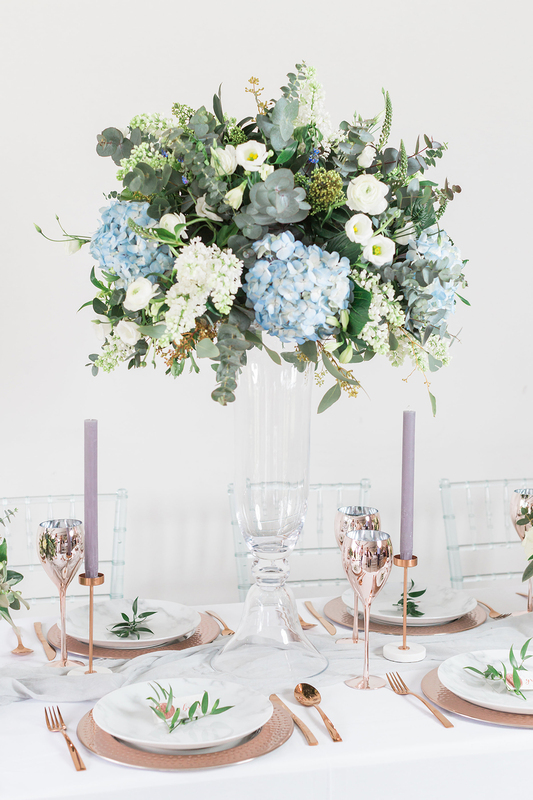 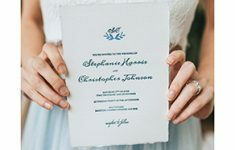 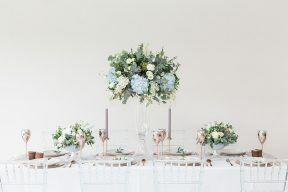 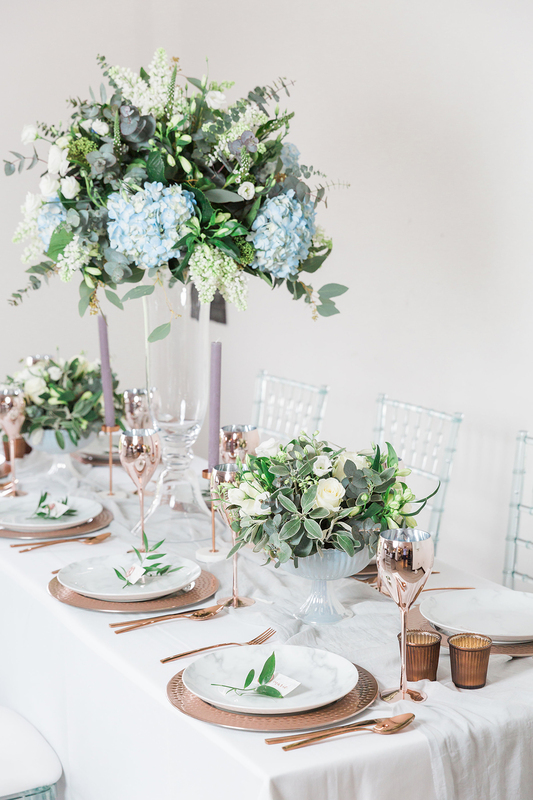 The first table setting has an opulent centrepiece, a real show-stopper with glorious soft blue hydrangea and elegant sprigs of eucalyptus, displayed in a tall glass urn. The height of this is a great statement and creates a lot of interest, but you need to keep it going with the rest of the table decor. 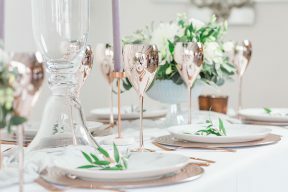 Including metallic copper glasses, chargers and cutlery really gives it a modern twist and against white, these colours look great together. 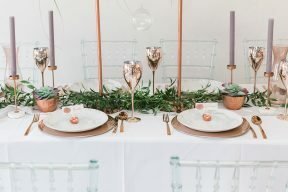 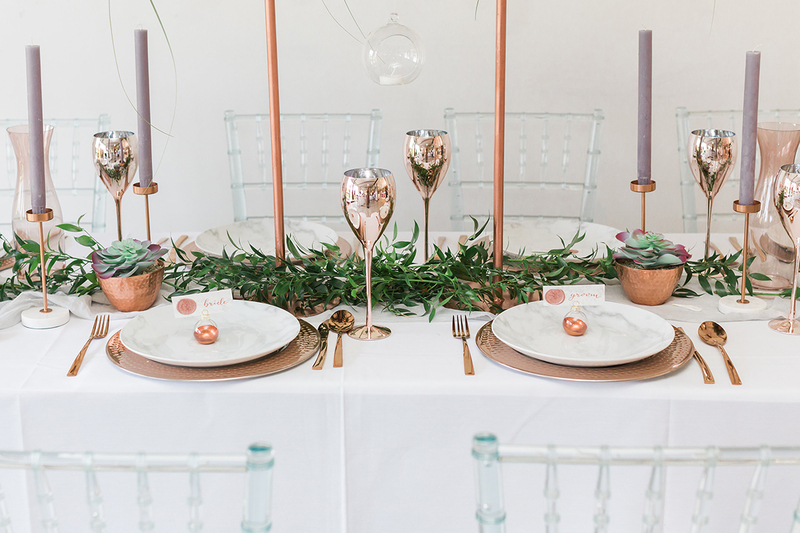 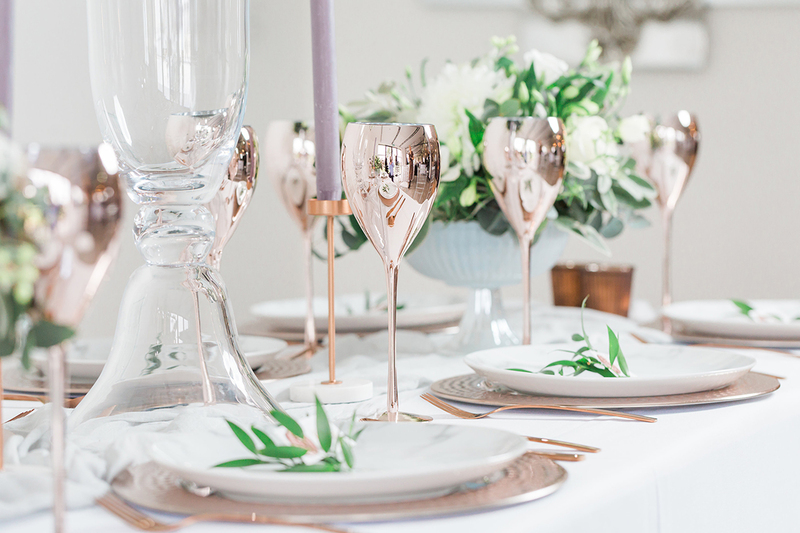 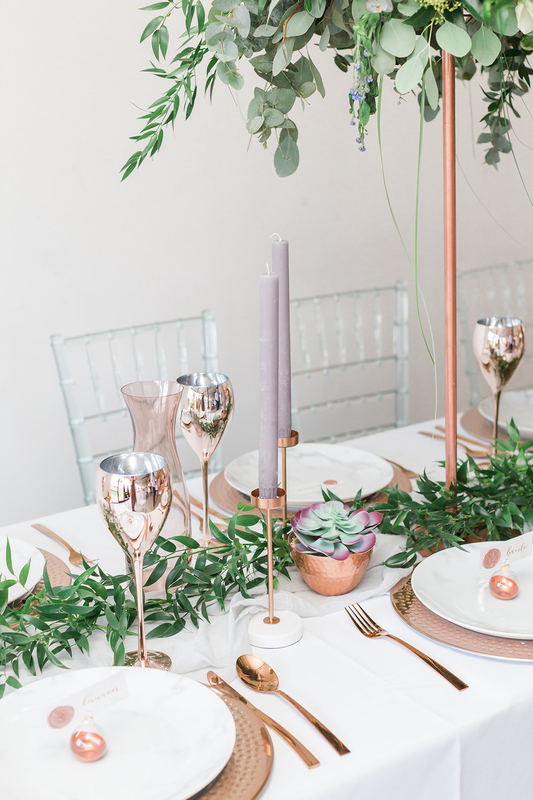 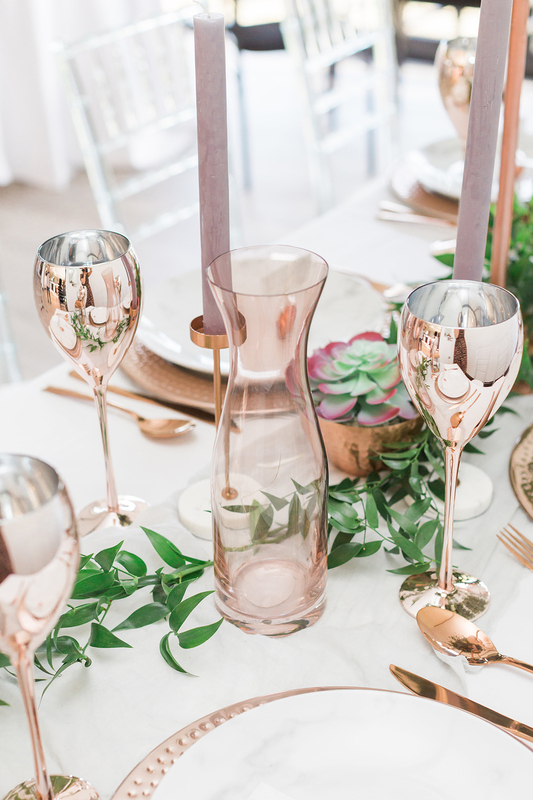 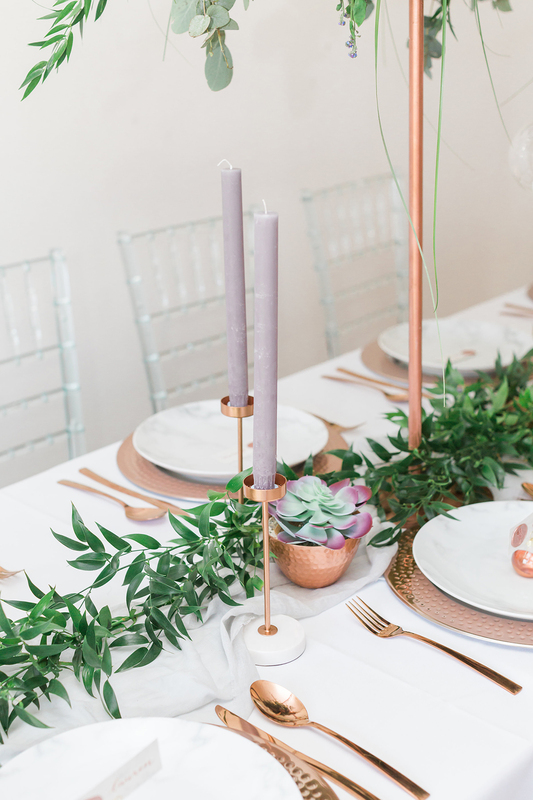 Adding copper tealights and taller candlesticks gives you more details at different height levels, and finally these sweet lilac taper candles. 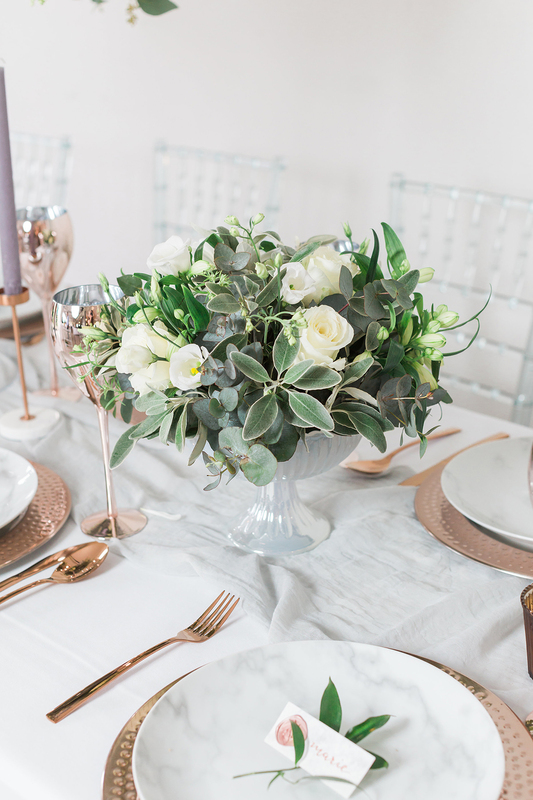 You can see how varying your floral design and table decor elements can create a brilliant effect with the next table setting, again using height to create drama and interest. 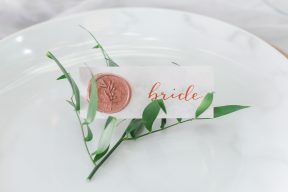 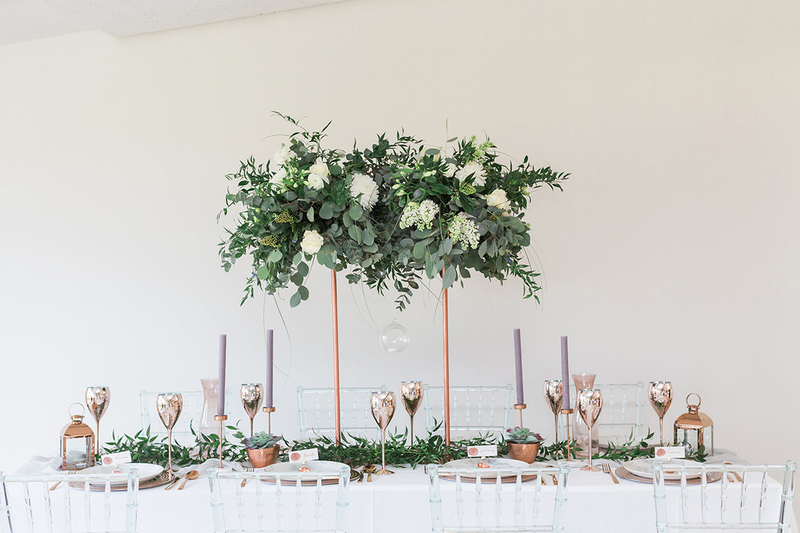 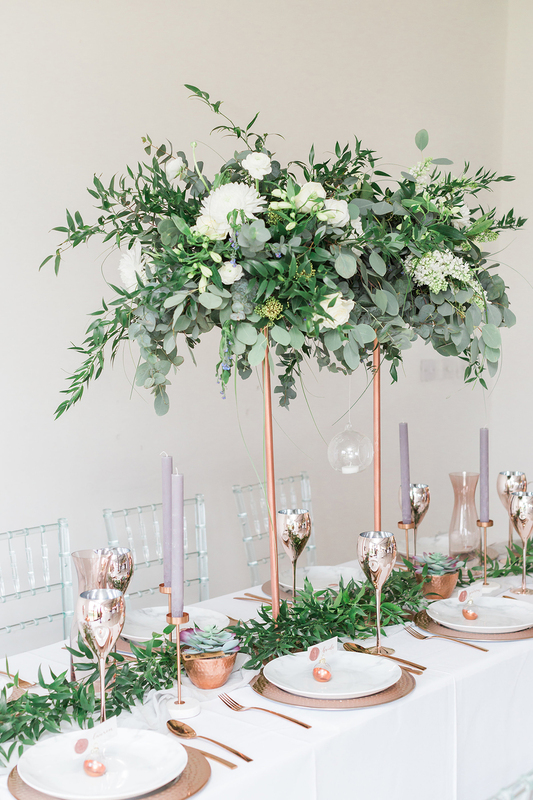 A tall copper stand holds a beautiful foliage display above the table, almost like the over the table floral installations that are so trendy for weddings! 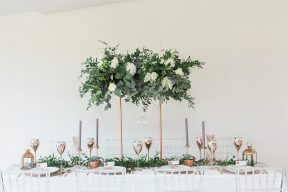 The whispers of foliage of this display creates texture and unusual shape, and using it along the table as a runner too is a clever way of keeping the colour tones and details flowing consistently. 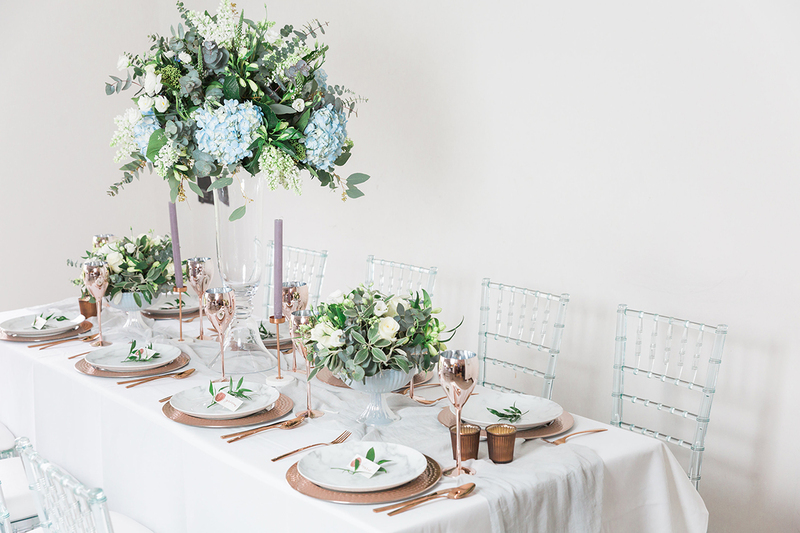 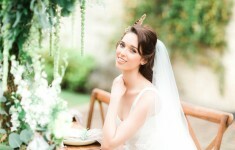 Finally the third table is all about the lush green foliage runner. A mixture of different pieces to give a subtle range of shades of green and the eucalyptus in this is going to create such a beautiful aroma for your guests too! 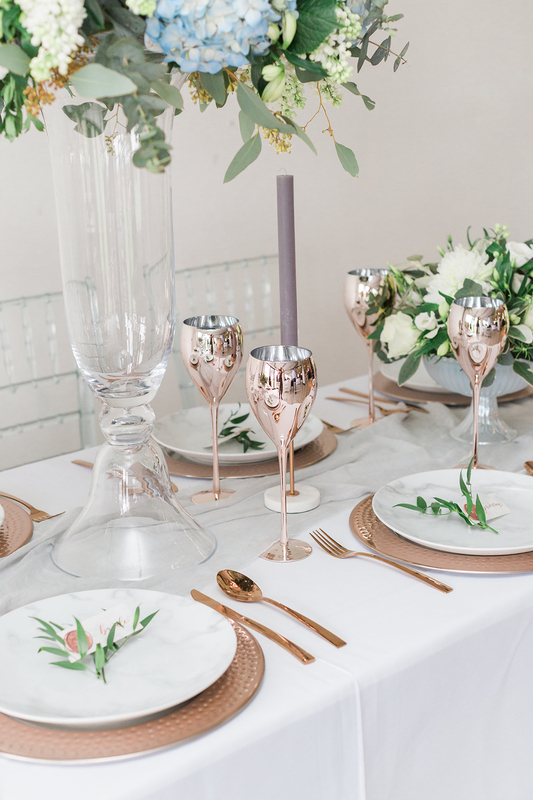 Add clear glassware and chargers edged in gold, keeps this look more refined.